Conformance is the UK's leading specialist in Product Safety Regulations and CE Marking assessments. We specialise in helping companies, large and small, to meet the applicable compliance regulations in markets and industries around the world. Our priorities are to keep costs for our clients down and to act with speed and accuracy. In the competitive world of international commerce, we believe we have the knowledge and experience to give our clients the edge. We are aware of the compliance pressures on our customers and using our customer focused approach we will support you through this process. 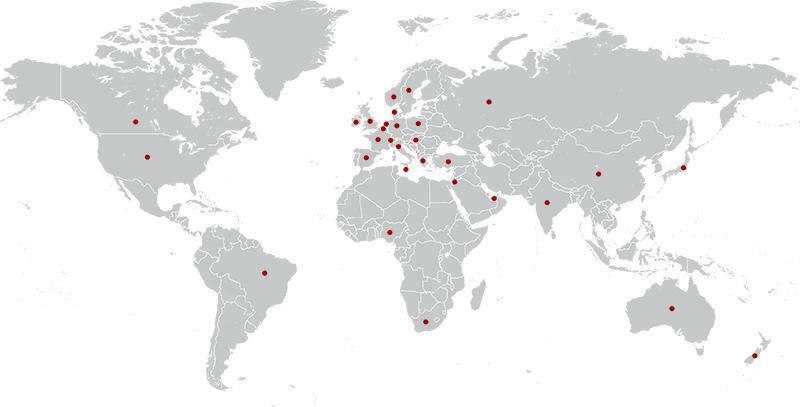 Conformance was established at the beginning of 1994 and since then the company has built up a client base which includes manufacturers and importers from the UK and countries around the world. Our service areas include product safety and CE marking assessment, consultancy and training. We can also support you in completing your self-assessment and Declaration of Conformity. Our expertise covers a wide range of CE marking directives such as machinery, ATEX, pressure equipment and electrical. The smallest device we have ever worked on was the size of a kidney bean; the largest a multi-million pound water industry installation. Our head office is located in the small village of Great Hucklow in the beautiful Peak District area of central England, between the major cities of Manchester to the west and Sheffield to the east. Nick set Conformance up in 1993 having been working for a UK domestic appliance manufacturer when CE marking first became mandatory in the early 1990’s. He has an honours degree in Physics and Electronics. His knowledge extends across a broad range of directives and includes machinery, electrical safety, EMC, medical devices and consumer goods. He’s particularly good at identifying the requirements for novel products on the margins of the directives, and has an unrivalled understanding of the political and strategic issues arising from the CE marking directives. Pete specialises in large industrial equipment such as machinery, process and energy plant, pressure equipment and equipment for explosive atmospheres. He has an masters degree in mechanical engineering and manufacturing and spent 10 years in a wide range of manufacturing environments, including automotive, plastics, minerals and defence prior to joining Conformance in 2001. He speaks five languages and has travelled widely in the course of his work and leisure activities. Chris specialising in electrical and electronic products. He came across CE marking when working as an engineer designing electronic and electrical controls for the commercial refrigeration industry, and then chose to specialise in the regulatory side of engineering for consumer electronics products. At Conformance Chris focuses on the Low Voltage Directive, Radio Equipment Directive, EMC Directive, Eco-design Directive, Restriction of Hazardous Substances (RoHS) Directive, Waste Electrical and Electronic Equipment (WEEE) Directive and related areas. 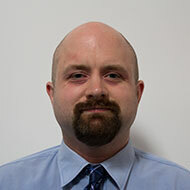 Chris has also helped develop a new Ecodesign standard and invstigated Li battery safety. 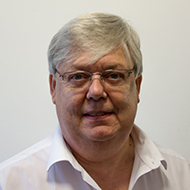 Stephen has over 36 years experience in the office equipment industry and has worked with EU directives and standards for a major Japanese printer company ensuring compliance for their products. He is also a Trainer and an Auditor to ISO14001. He was one of the architects of the EU Imaging Equipment Voluntary Agreement, which is an alternative to direct legislation under the Eco Design Directive (ErP). He specialises in LVD, EMC, RoHS, WEEE, REACH. 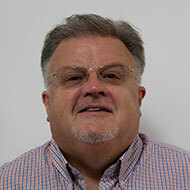 Chris has over 30 years experience in product safety and global product compliance. He has specialist knowledge in the ATEX, LVD, EMC, Machinery, PED, RoHS, REACH and WEEE Directives He has managed billion dollar budget projects within the Oil & Gas, Mining, Transportation, Energy, Petroleum Chemical, Defence, and Manufacturing Industries. Jeff is a chartered mechanical engineer with 6 years experience delivering projects in the nuclear industry. He worked for 4 years at a synchrotron x-ray facility where he was responsible for scientific equipment installations and ensuring CE conformity on all new installations across the site. He has worked in a variety of countries including the UK, France and South Africa, and speaks fluent French. 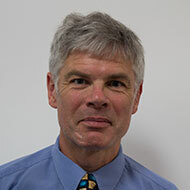 Jeff specialises in the Machinery Directive and recently joined the Conformance team. Jim focuses on Machinery Directive requirements, Noise Emissions Directive requirements, creating Technical Files, creating and updating instruction manuals and requirements for markings. 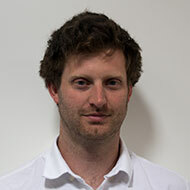 Jim joined the company in November 2006 after completing a PhD in Physics at UMIST in Manchester. Since joining Conformance Jim has gained extensive knowledge and experience in a variety of areas. Steve is a mechanical & electrical engineering honours graduate with an M.Sc. in Industrial Engineering. For Conformance, Steven specialises in the Machinery Directive, safety of control systems and the work equipment regulations. He has twenty years of engineering experience including work in the power generation and automotive sectors, focusing on machine reliability, component failure and vibration & acoustic research testing. Within the machine tool industry, his roles have included machine performance improvement and, in previously working for a Machinery Directive Notified Body, machinery compliance. Glen specialises in areas relating to the Machinery Directive, including sound and vibration testing and assessments of machinery. Glen is our practical hands on expert and has created a number of bespoke test rigs for specialised testing of customer samples. 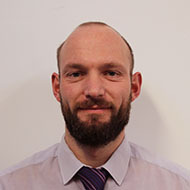 Having completed his degree in Mechanical Engineering, Glen joined Conformance in 2010 where he has gained experience of the various directives, as well as creating checklists and compiling Technical Files. Joe has recently joined Conformance after completing a Masters in Mechanical Engineering where he undertook projects in automation and novel material manufacturing. Joe has spent university summer breaks working in construction and also as a mountain bike guide in the Alps. Charlotte has worked at Conformance for a number of years now. 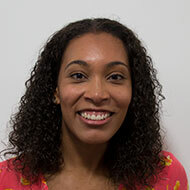 Initially in sales and marketing, she currently works part-time as our toy safety expert, helping the many home toy-makers to get their toys through the CE marking process. In addition to toy safety, Charlotte manages our subscription product services. Jared is our Construction Products specialist having over 15 years prior experience from a manufacturer’s point of view in the construction products market. His knowledge covers product design, engineering, commercial sales and quality management. Since joining the company in 2013, he has supported many manufacturers and importers of all types of products fulfil their obligations under the Construction Products Regulation. Ilona joined us as a sales and marketing assistant to help with our growing workload, she deals with customer enquiries, company adminstration and assists with website development. Ilona also assists the company consultants with training preparatation and seminar organisation. Ilona graduated from university with a degree in Psychology and has a background in customer services. 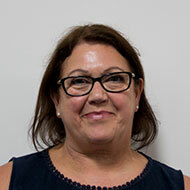 Sarah has a degree in Business studies and marketing and a post graduate certificate in education. In her last job she manged educational units for pupils with specail needs. 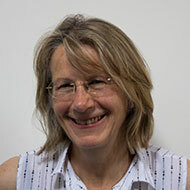 In conformance Sarah manages the Conformance marketing and business strategy. 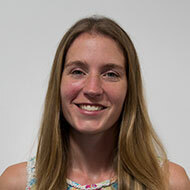 She helped develop the content for the new website and manages website updates. 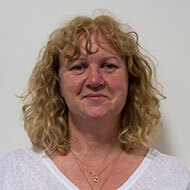 Lesley has recently joined Conformance as part time financial controller. Her degrees in Applied Mathematics initially took her into data analysis and IT. She has been working in accounts for a number of companies for many years now. Molly has recently joined Conformance as a part time administration assistant, seeking to learn more about the engineering sector and gain valuable experience. 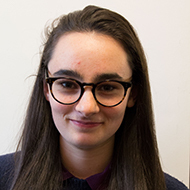 She recently completed her A Levels and is looking forward to starting her engineering degree in September 2019. In her spare time Molly likes to develop her passion for astrophotography in the beautiful White Peak. 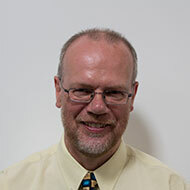 John is an independant specialist who assists us in electrical and physical assessment. John had seven years experience as a manager for a leading international test house. He also gained valuable experience as a quality manager for the lighting industry, which has also provided him with a thorough understanding of the intricacies of importing electrical equipment into the EU. David has a degree in Wood Science. He has worked for the BM TRADA Group in conformity assessments of products in respect of the Construction Products Directive, both to harmonised European standards and European Technical Approvals. Hence he has invaluable skills to assist and advise manufacturers, importers and distributors in achieving compliance with the Construction Products Directive/Regulation. Hugh assists us with our marketing communications, corporate ID and web site development. A Business Studies graduate, Hugh worked in marketing with Philips and Marconi before developing a career in advertising and PR. After moving to the north of England he worked as marketing communications manager for several companies in the industrial and machinery sectors, developing their corporate ID, marketing and web communications. 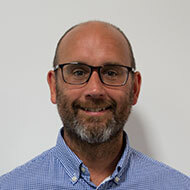 Colin is a highly experienced mechanical engineer and product conformity assessment professional with over 25 years’ experience in the power generation and pressure equipment sectors. Originally working on pressure part design of large utility steam generators, more recently he held senior technical management positions with two leading global conformity assessment bodies and has gained a broad knowledge of EU product conformity directives and regulations in the pressure equipment, machinery and construction sectors. 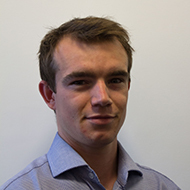 Relatively new to Conformance, Colin has initially focused on the Pressure Equipment Directive.